High Moor Cottage is a semi-detached cottage in Bowness-on-Windermere. 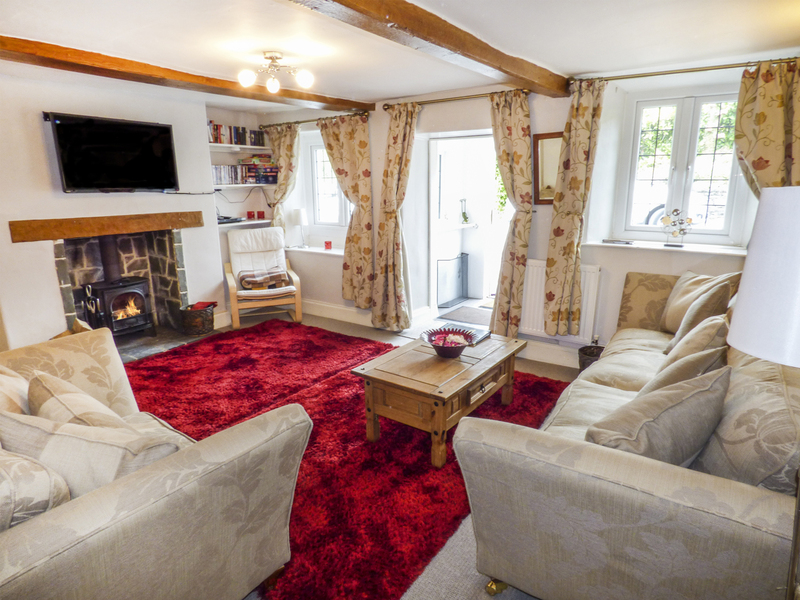 The cottage has a double room with adjoining room offering French windows and a Juliet balcony, and a twin room which can be offered as a super king-size double if required. There is a bathroom and a shower room, and downstairs, a kitchen and a sitting room with dining area and woodburner. Outside is off road parking and a front gravelled area and patio. 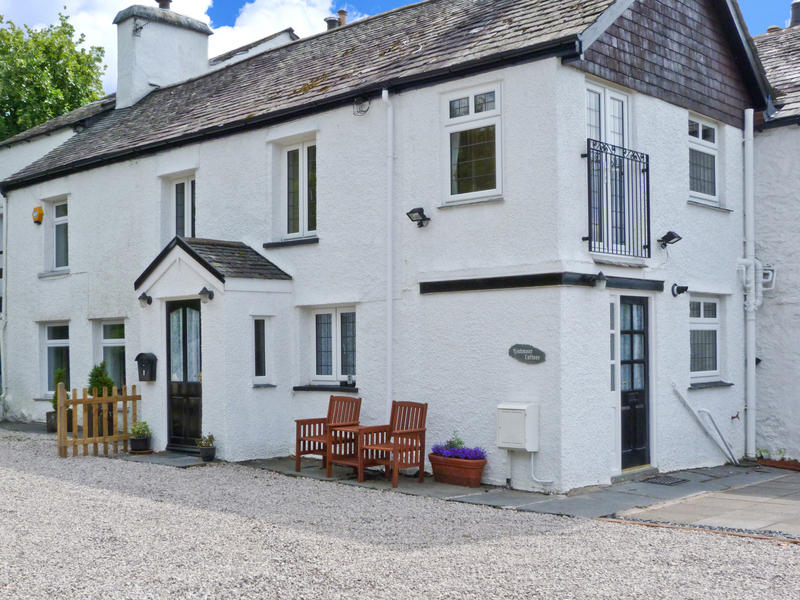 High Moor Cottage is within walking distance of Lake Windermere and the amenities of Bowness, and makes an ideal base for exploring the Lakes. Two bedrooms: 1 x double bed with adjoining sun room and Juliet balcony, 1king size bed (can be separated into 2 x single beds on request ). Bathroom with corner bath, overhead shower, basin and WC. Shower room with electric shower, basin and WC. Kitchen with dishwasher, washer/dryer. Sitting room with dining area and wood burning stove. Gas central heating with woodburning stove. Electric oven and hob, microwave, fridge/freezer, washer/dryer, dishwasher, Smart TV with Freeview, DVD, WiFi, selection of books, games and DVDs. Fuel, power and starter pack for stove inc. in rent. Bed linen and towels inc. in rent. Travel cot, highchair and stairgate on request. Off road parking for 3 cars. Front patio with picnic bench and BBQ. Sorry, no pets and no smoking. Shops 8 mins walk, pub 5 mins walk. Lake Windermere 7 mins walk. Note: Stairs have a slight curve and may be unsuitable for guests with limited mobility. Note: Some road noise may be audible outside the property. Note: If you would like the twin room made into a double, please contact the owner at least 10 days prior to your arrival. Note: Check-in 4pm. We also have details of 136 other similar properties nearby which might suit you.